Purple, yellow, orange, and red. Just the right mix of colored vegetables make a delicious soup in this tasty introduction to colors, counting, and veggies. All you need is a pot, a spoon, an adult helper, and vegetables of many colors to make a very special soup—Every Color Soup! Learn colors and vegetable names in this bright and colorful picture book with minimal text perfect for the beginning reader. 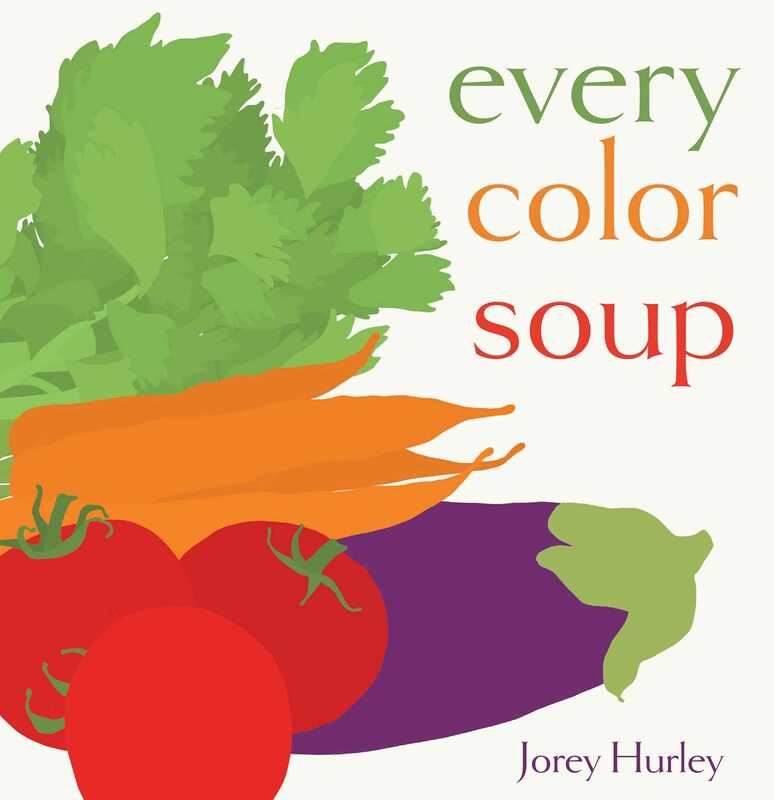 Jorey Hurley’s bright, graphic art and simple text make this vibrant book a perfect read-aloud for budding cooks and their families. This lively picture book also comes with a recipe!